FIREFIGHTERS spent about three hours battling flames that had gutted an old house and two sheds on Goldfields Rd, Goldfields. Surrounding structures were also under threat from the fire, which started about 2.45pm on Saturday. Queensland Fire and Emergency Services were called to the scene on a farm property about 30 minutes west of Stanthorpe. "The fire was extinguished just before 6.30pm, the firefighters protected surrounding structures,” a QFES spokeswoman said. Warwick and Stanthorpe QFES urban crews worked on the fire along with Rural Fire Brigades at Broadwater, Drumsleed and Northern Goldfields. 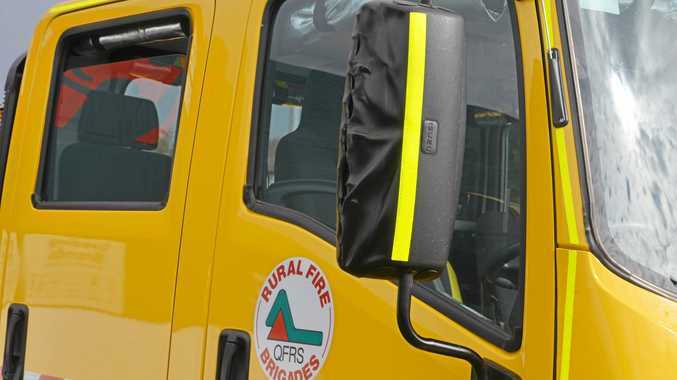 The QFES spokeswoman said the fire was not being investigated as it was deemed non-suspicious.